Laws can be good or bad. It depends upon the character of the one making the law and the ultimate desired effect upon the person required to obey it. Try to think of God’s law as the laws of God. Each individual law is a link in a chain strong enough to anchor us to God Himself. As we obey each law, each is secure. 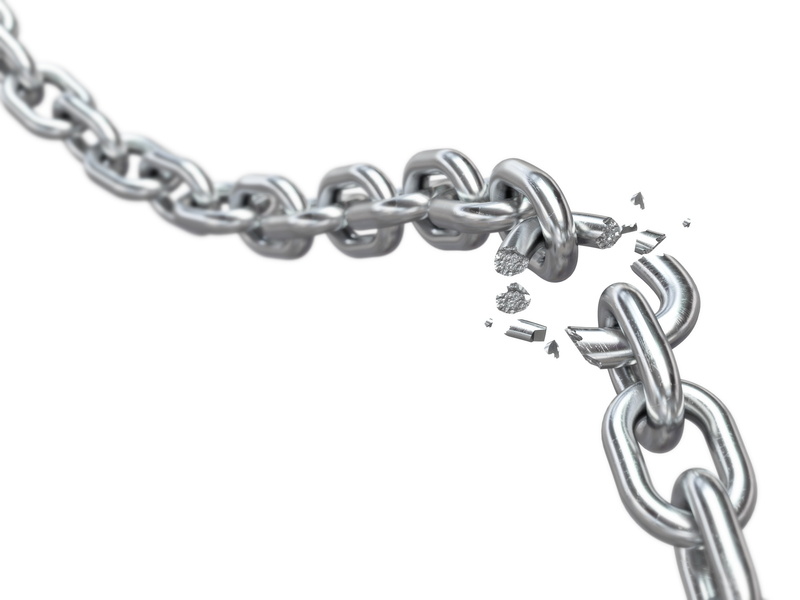 However, as we know, a chain is only as strong as its weakest link. When one link is broken, we are separated from God. Jesus has anchored us to the Father by a chain forged out of His own obedience; a perfect chain, which He offers to us to grab hold of as we let go of our broken chains. Carol Tirondola is on staff with the Partner Care team at America’s Keswick. She and her best friend, Mario, have been married for 35 years. They have 2 sons and 2 daughters-in-law that they call their “BFFs.” They also have 7 precious gems called grandchildren. Her family has savored many memories of the heart made at Keswick over the last 35+ years and she is thrilled to serve on staff!